According to a report from Leafly, the bill allows representatives who refuse to step into the 21st Century to support marijuana businesses without taking a stance on marijuana at all. It turns the matter purely into a states’ rights issue, which has become the great unifier in the cannabis debate. 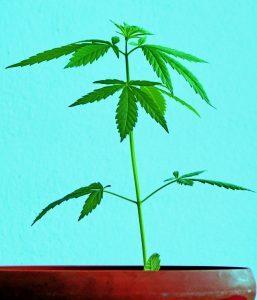 It also removes industrial hemp from the definition of “marijuana,” freeing many industries that create products unrelated to the psychoactive properties of cannabis.The bill would help marijuana businesses owners clear a key hurdle they face daily in running a proper business: lack of banking options. As our L.A. marijuana business lawyers can explain, banks are under federal jurisdiction, and therefore must be in compliance with federal rules. By housing funds for cannabis businesses, they would knowingly be engaging in criminal activity in the eyes of the federal government, regardless of the laws within the state. The STATES bill would establish a federal law that would act as a buffer, declaring that following state guidelines in regards to marijuana would not be considered trafficking, thus freeing the banks. The importance of this step cannot be stressed enough. Not only will it make it easier for businesses to function at a base level, but it also will make operations infinitely safer. No longer will owners have to haul massive amounts of cash down long stretches of highway trying to get funds to tax offices. Retail locations as well will not have safes with troubling amounts of cash on-site. These are legitimate businesses and it is about time they be allowed to operate as such. The bill has garnered support from banks and business owners, as well as Democrats and Republicans. It was introduced by Sen. Elizabeth Warren (D-MA) and Sen. Corey Gardner (R-CO) and received backing from at least 12 governors petitioning for the bill to advance, including California Gov. Jerry Brown. Sponsors of the bill in the House of Representatives included Rep. Rep. Dave Joyce (R-OH), Rep. Carlos Curbelo (R-FL), Rep. Ken Buck (R-CO), Rep. Jared Polis (D-CO), Rep. Barbara Lee (D-CA), and Rep. Earl Blumenauer (D-OR). Blumenauer has long been a champion of states rights for cannabis, acting as one of the sponsors of the Rohrabacher-Blumenauer Amendment (originally Rohrabacher-Farr), the amendment that has passed each spending bill since 2014. It created a patch that forbid the Justice Department from using funds to go after medical marijuana operations and users in states where it was legal. If passed, the STATES Act would go much further by putting an official law on the books, rather than something that would need to be passed again and again. It also would give blessing to the state activities, rather than the current system which continues to position the activities as criminal and simply prevents punishment of those crimes. Navigating the tangled web of local, state, and federal cannabis laws can be a challenge for business owners. Our skilled marijuana business attorneys are well-equipped to clear those challenges and help your operations meet compliance standards so you can focus on your business and your customers.